Pearl powder benefits provides a gateway to Youthful Aging. Are you distressed by the dreadful signs and symptoms of aging? 75 gram per bottle (One capsule is 500mg so the powder actually contains more powder itself). Take one dose last thing at night after brushing teeth, using some of the residue by brush to whiten your teeth. Recommendations: Take 2-4 spoons, 2-3 times a day. Regenerates and stimulates Bone Stem Cell (Osteoblast). Increase and boost your own collagen. Rejuvenation of heart, brain, liver, kidney, eyes, brain. Good for memory and mental acuity. Promotes stress reduction, mental and emotional well-being. Pearlcium is natural, bioavailable active signal protein source that can help stimulate new skin and bone growth, offset osteoporosis, build bone density and quickly regenerate collagen, producing radiant and younger-looking skin. 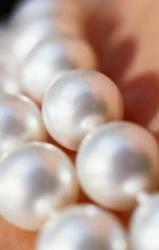 TESTIMONIAL ON TEETH WHITENING from a leading dental professional on pearl powder benefits. I have never seen a product that was able to remove stain from teeth like Pearlcium, as part of a home enhancement programme in my 20 years as a dentist for patients to maintain healthy gums as well as teeth. Study's carried out demonstrate the positive effects on gum inflammation with local application, when using Pearlcium which very easy to apply and of high quality. Pearlcium Health , Beauty, Longevity, Well-being Supplement: SPECIAL OFFERS! Many of our customer's report improvement within a few weeks. However, for chronic conditions an initial 3~6 month course is recommended, especially in chronic conditions. Increasingly we find that people wish to continue with the Pearlcium after only a few weeks. Body & Mind Shop are getting tremendous feed back and great results by suggesting people go on our 3 month course of Pearlcium. Alternatively, why not treat your friends and loved ones to the Pearlcium secret for radiant health, beauty, and well-being! If, you want longevity and enjoy being vibrant and healthy with younger looking skin, and you want to create a more solid bone structure and maintain beautiful natural teeth, then why not try Pearlcium ? The newly discovered secret, for beauty and longevity that modern science has confirmed is "signal protein" from pearls by Mayan, Indian, Chinese and Egyption cultures. Pearlcium brings this secret from traditional wisdom for longevity and beauty to you. Signal Protein - The Secret of the Pearl Scientific research has found that the legendary benefits of pearls for promoting health, beauty and the reversal of aging come from unique substances called "signal proteins". Bone generation can be stimulated by pearl powder Pearl powder 'signal protein' and enhance skin tissue repair and increase existing bone density. The powder from pearl signal proteins can play a powerful role in the maintenance of healthy skin tone and the promotion of vital skeletal and bone health. THERE IS A UNIQUE BOND BETWEEN PEARLS SIGNAL PROTEINS AND THE HUMAN BODY. There is a very good reason why signal proteins from pearls can work wonders for us. 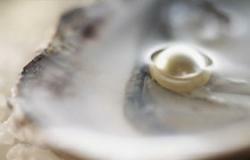 In the oyster shells, signal proteins control the process used to grow the pearls and mother-of-pearl. The signal proteins found in pearls is similar to our own DNA that is involved with calcium regulation within the human body and why pearls are so compatible, nutritious, and healing in the human body, and why we have been drawn to them through the ages. The extraction of signal proteins from pearls has been a secret retaining the integrity so the pearl can be preserved for natural healing benefits. Diminish wrinkles and sun spots to promotes radiant and youthful-looking skin. Increases bone density, stimulates new bone growth. Helping with heart tonification and arrhythmia, to assist in recovery from heart disease. Improve memory and immune system. Soothes the nervous system, helping with stress and insomnia. IQ's, improved in school children and performance..
Pearlcium powder shown to contain essential trace minerals delivering a superior source of calcium.. Improved results of those with osteoporosis. Pearlcium stimulates new stem cells, helping to provide protection from viruses and bacteria. Better collagen regeneration and skin growth..
Why is Pearlcium so effective and unique? To ensure high quality and efficiency, we control where the pearl is collected, to control all the key ingredients and signal proteins are preserved and enhanced. All batches are tested by full-spectrum high-pressure liquid chromatography (HPLC). Pearlcium is guaranteed to have no heavy metals, and tested to be free of toxins or chemicals. The Infra red images shown here are used by hospitals and doctors for screening inflammatory conditions because medical infra red help locate abnormal heat patterns in the body. The pictures show before and after, taking two capsules of Pearlcium. The two capsules were opened and the powder poured into the mouth for a couple of minutes. After about 20 to 30 minutes taking Pearlcium, another picture was taken. The two infrared images showed significant difference. The after-image indicates obvious reduction in the inflammation in the head and face area, the only area we took IR picture of. In fact, according to the images, the temperature of the eye area decreases 1 degree after taking Pearlcium. These two infrared images show that Pearlcium can help reduce inflammation. It literally turned down the "heat" from the inflammation inside significantly. The examiner has never seen a product showing such significant reduction on inflammation in such short time. Inflammation is the immune response of our body to trauma, infection and allergy. While acute inflammation is necessary, chronic inflammation can damage our body areas and cause serious illnesses. For example, chronic inflammation can cause damage to our blood vessel linings and result in atherosclerosis. The list of symptoms of low-grade chronic inflammation includes body aches and pains, congestions, diarrhea, dry eyes, indigestion, shortness of breath, skin outbreaks, swelling, stiffness, weight gain/obesity. Chronic inflammation is linked to rheumatoid arthritis, irritabke bowel syndrome, obesity, diabetes, atherosclerosis, high blood pressure, Alzheimer's, osteoporosis, Parkinson's, cancer, as well as depression! The prevention of chronic inflammation is one of the most essential and effective ways to turn back the aging clock and prevent diseases. In functional medicine, chronic and degenerative illness, can be connected to inflammation. Since the ancient time, people have recognized that people can reduce inflammation and pain. Modern research studies have proven pearl's ability to fight against the inflammation inside your body. So if you want to have less pain, be healthier and happier and live longer, you need to take Pearlcium everyday to reduce your chronic inflammation.